Das SP30 ist eine 30W-Solarzelle. Sie wird oft für Systeme eingesetzt, die höheren Stromverbrauch haben oder in größeren Höhen oder näher den Polen aufgestellt sind. Sie wird über einen Laderegler an eine wiederaufladbare Batterie angeschlossen und ermöglicht wartungsfreien Betrieb über eine lange Zeit, auch entfernt von Stromleitungen. 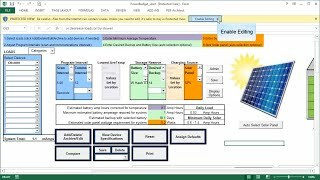 Das SP30 braucht einen Laderegler wie die PS150, PS200, die im CR6 oder CR3000 zum Aufladen der Batterien. Zum Anschluss ist ein 5m Kabel mit offenen Kabelenden vorgesehen. Das SP30R wird mit einem Laderegler geliefert. Damit können vom Anwender erworbene Batterien geladen werden. Das SP30R braucht ständig etwa 5mA Strom. The SP30 uses the regulator in the PS150, PS200, CR3000, CR6 to recharge their batteries. The SP30 has a 5 m cable with stripped leads that connect to the power supply or datalogger battery base. The SP30R is supplied with a regulator. It can recharge a user-supplied deep-cycle battery. This solar panel has a 5 m cable with stripped leads that connect to the battery. Please note that, the SP30R draws a continuous 5 mA current drain. 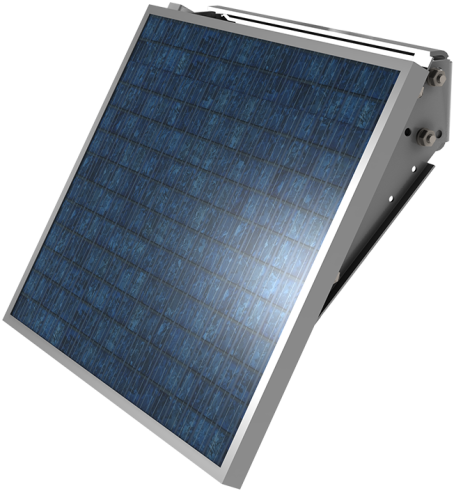 The SP30 and larger standard panels are supplied with a Solar Panel Multi-Fit bracket (Part number 006607). This is a substantial bracket that fits many different sizes of panels by simply clamping under the rear lip of the frame at either side of the panel (it works with panels up to 500 mm internal width). This allows easy exchange of the panel in the field, e.g. to upgrade to a larger size panel. The SP30 is compatible with the CH150; the CH200; or the regulator built into the PS150, PS200, CR6, CR3000, CR300 series, or CRVW3. The SP30 is compatible with the EnerSys Genesis NP series (such as PS200, BP12, BP24), EnerSys Cyclone series, or Concorde Sun Xtender series (such as BP84) batteries.